There are two types of fetoscopes: the stethoscope for listening to a fetal heartbeat and a fiber-optic scope for viewing the fetus internally. The Pinard Horn is a hollow horn-shaped stethoscope approximately 20.3cm (8") in length, that is pressed against the patient's stomach. The horn must be at a precise location close to the heart in order to hear the fetal heartbeat. Because of this, it is considered to be a more accurate device than the Doppler Fetal Monitor, which picks up tones that can be further from the heart, but has become the fetal heartbeat monitor of choice in the United States. 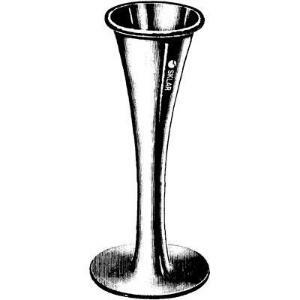 The Pinard Horn is commonly used in Europe by doctors, nurses, and midwives, and is considered to be a more practical, less expensive, and safer alternative to the Doppler device.